Despite being focused and determined hunting dogs, Gordon Setters are devoted to their family members and love children. The Gordon Setter is the heaviest of the 3 setter breeds. Sturdy and muscular, this gun dog has great strength and stamina. The oval eyes are dark brown, and the long ears hang close to the head. The tail is feathered longer at the base and tapers shorter toward the end of the tail. The soft, flat coat is a distinctive color of black and tan. This is the only setter breed with this coat color combination. A small white spot on the chest is not unusual. The Gordon Setter originated in Scotland in the 17th century. Used as sporting dogs, the breed became more popular in the early 19th century when bred by the 4th Duke of Gordon. Gordon Setters were first imported to the United States in 1842 by George Blunt. The heavier and distinctively colored setter became popular in America, but faster pointers captured the limelight from them for a while. Often called a one-man shooting dog, Gordon Setters are unchallenged in this area and have great memories and intelligence. Field (working) and show (conformation) lines are not clearly defined or separated in the United States. 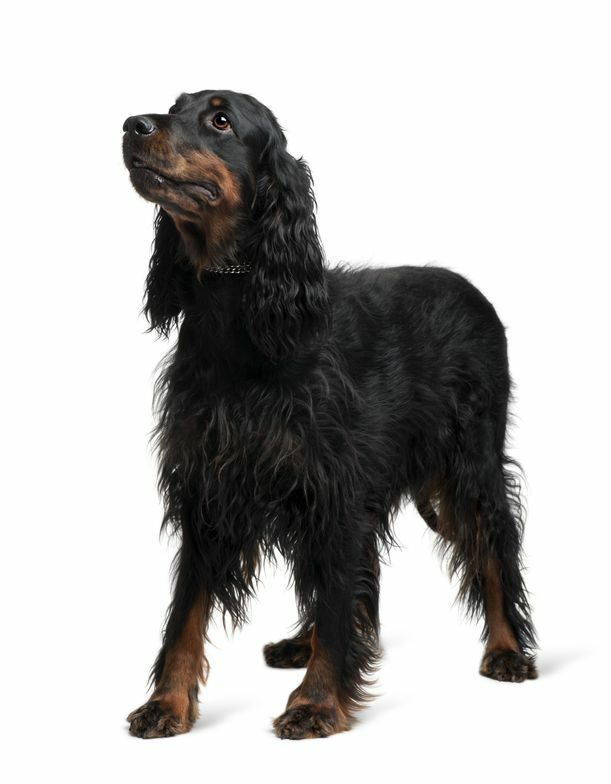 The American Kennel Club added the breed in 1884, and the Gordon Setter Club of America was formed in 1924. 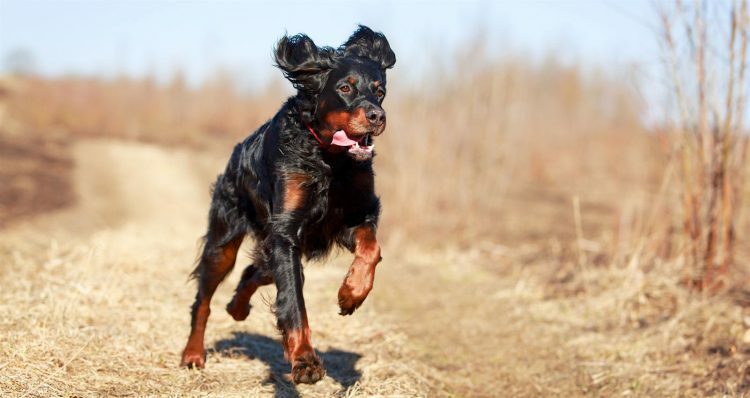 Alert, confident and affectionate, the Gordon Setter is a loyal dog devoted to family members but normally reserved with strangers until formally introduced. These dogs can adapt easily to different situations but do not do well with long periods of isolation or being crated for long periods of time. This breed is smart but potentially stubborn and averse to harsh discipline. Gordon Setters are great with children and other pets, although they may try to dominate other dogs. HIGH: Gordon Setters need plenty of daily outdoor exercise since they are inactive indoors. Keep the dog on a leash or within a fenced area to prevent roaming; these setters are easily distracted by scents and can take off after a bird or squirrel. These dogs are not recommended for apartment living — unless you are active and outdoors a lot. MEDIUM: This breed sheds an average amount. Regular brushing will prevent matting on the soft, flat coat. Check for debris in the coat after going outdoors. Bathing can be done as necessary, and dry shampoo can also be used. The hair on the bottom of the feet — in between the paw pads — should be trimmed as well as the nails. Check and clean the ears regularly and after outdoor romps. Brush the teeth regularly to prevent tartar buildup and periodontal disease. DUNGd symptoms start around 3 weeks of age with neurological problems. Puppies may have trouble walking and standing. Gordon Setters do end up in shelters and rescues. Check out local ones first, or start with our adoptable dog search. 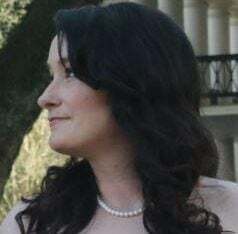 If you decide to contact a breeder, make sure it’s not a puppy mill and that the breeder is interested in getting to know you first, not just closing a quick sale.